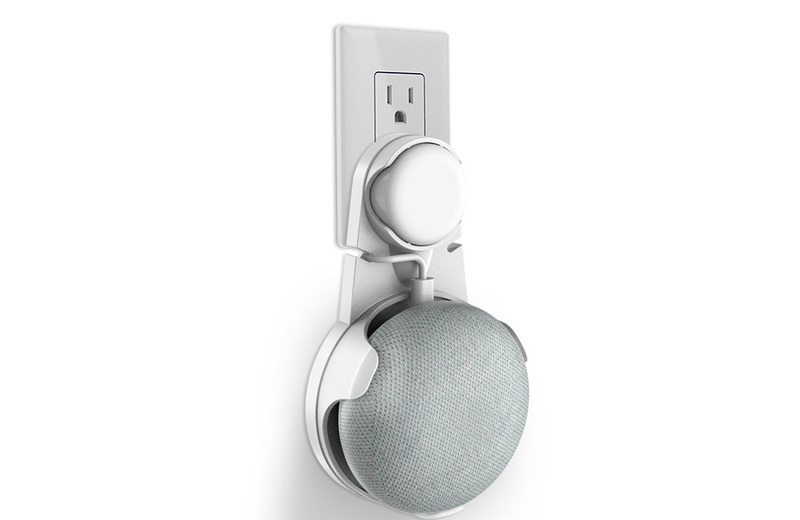 One of the best accessories we’ve shared in recent months was this Google Home Mini mount that allowed you to plug units directly into an outlet, moving them up off your counter or shelf. I’ve got those bad boys all over my house. While I don’t have a deal on those to share today (they are still $15), another Google Home Mini mount just popped up at Amazon as a daily deal and it’s just $9.30. This particular Google Home Mini mount is made by Lycase and is currently discounted to $9.30 from $10.99. It’s not a huge savings, but hey, who are we to complain about only saving $1.69? Both white or black colorways are available, and you just use the cable that came with your Google Home Mini to power it. The other mount I shared has a cable built in, but with this Lycase mount, you just wrap your cord around its base a few times to shorten it before plugging it in. This is a limited daily deal, so you may want to get on it.